Deep down in the South Canterbury Museum are nestled away some of Timaru’s and New Zealand’s greatest treasures. From the natural wonders of the world to the history of man’s existence, numerous permanent and revolving exhibitions survey the history of Timaru and the greater South. 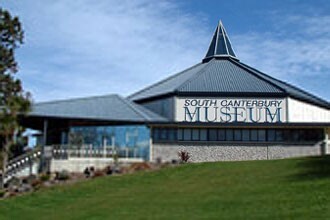 From historians to anthropologists and genealogists to students, there is something to capture everyone’s eye and imagination at the South Canterbury Museum. A replica of one of the first-known aircrafts to take flight is on display at the South Canterbury Museum. Designed and built by Richard Pearse who flew the craft near Timaru before the Wright brothers, this replica has proved to be a focal point for visitors both young and old.